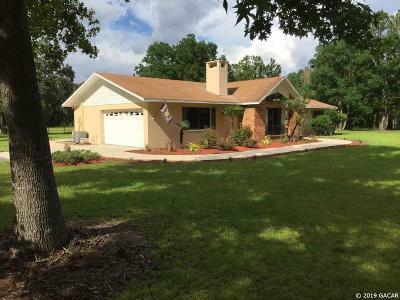 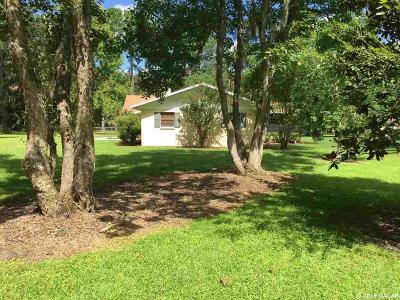 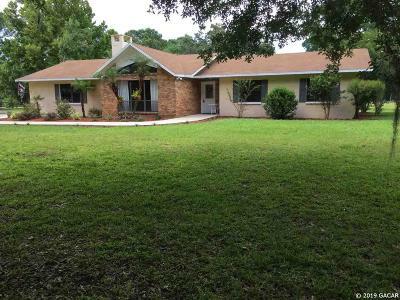 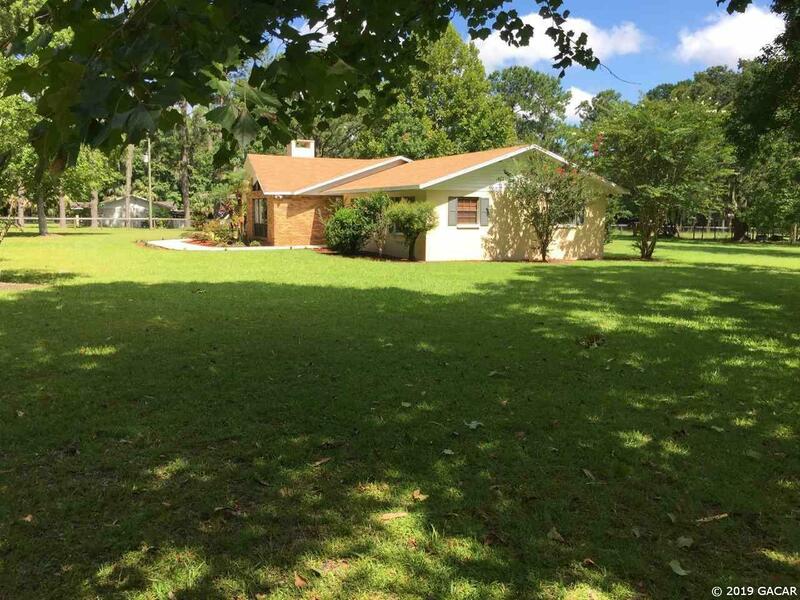 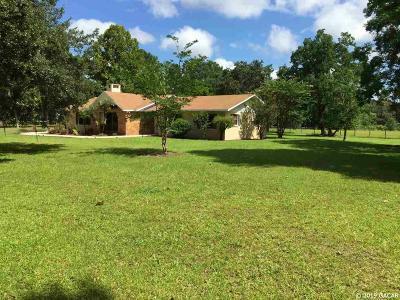 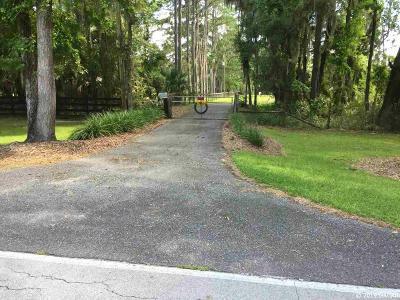 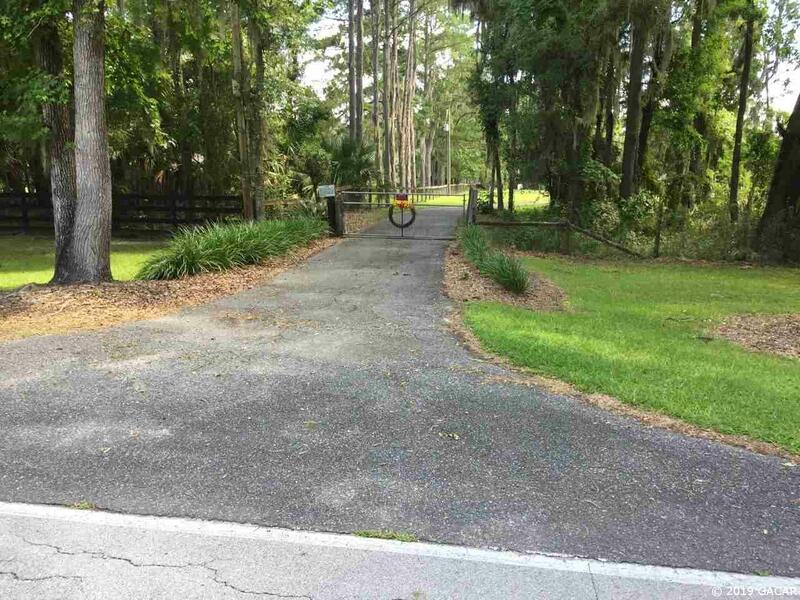 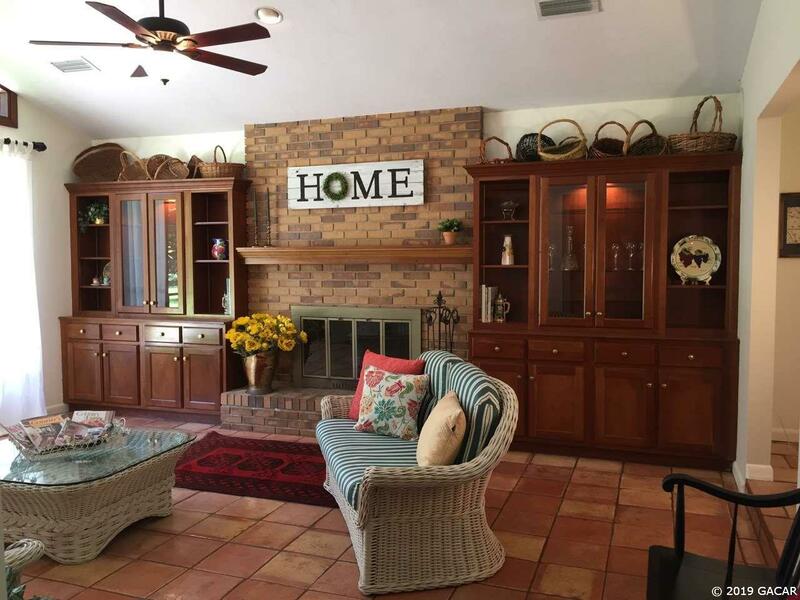 Five lovely fenced acres of country living perfectly located for either a Gainesville or an Ocala commute! 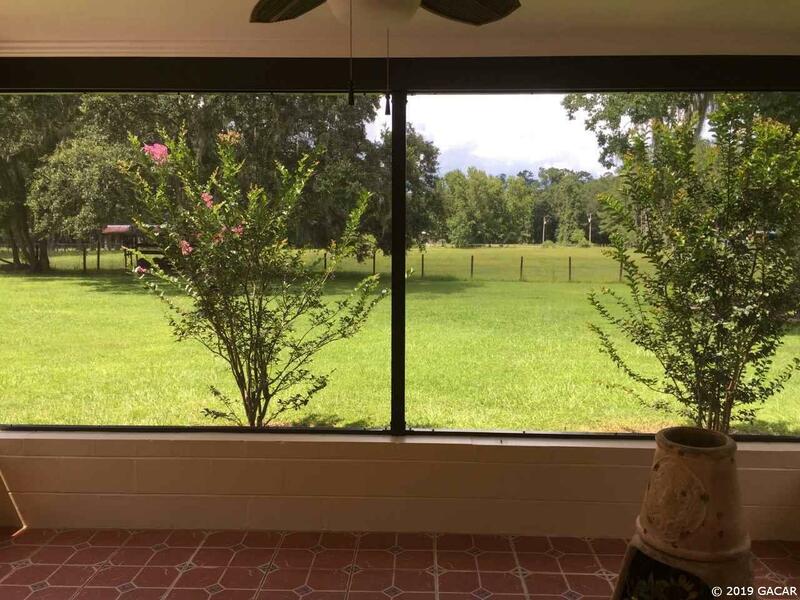 Well maintained home ideally situated in a serene natural setting for horse, ranch and organic farm lovers! 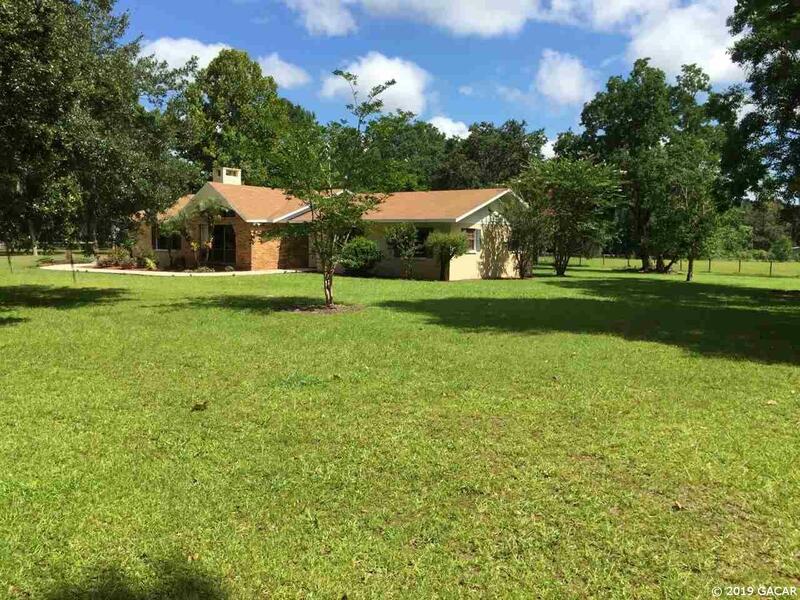 improved pasture with loads of grass!! 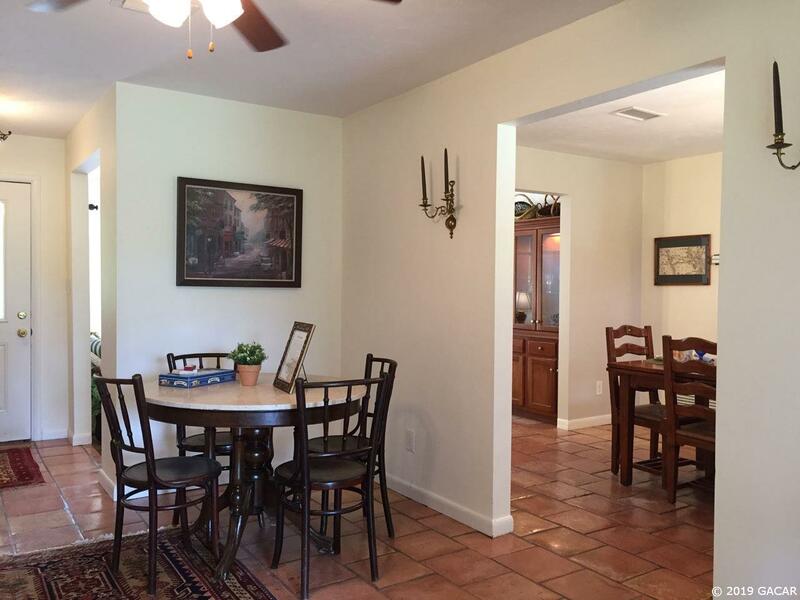 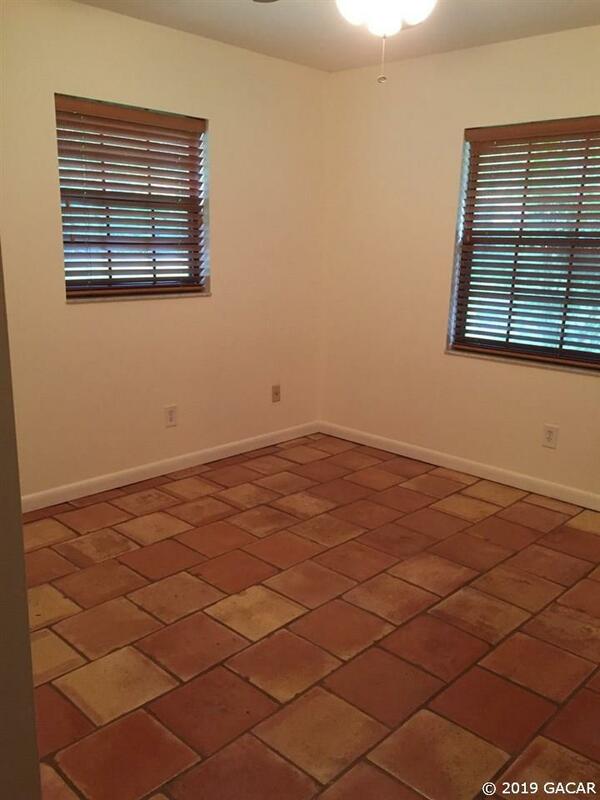 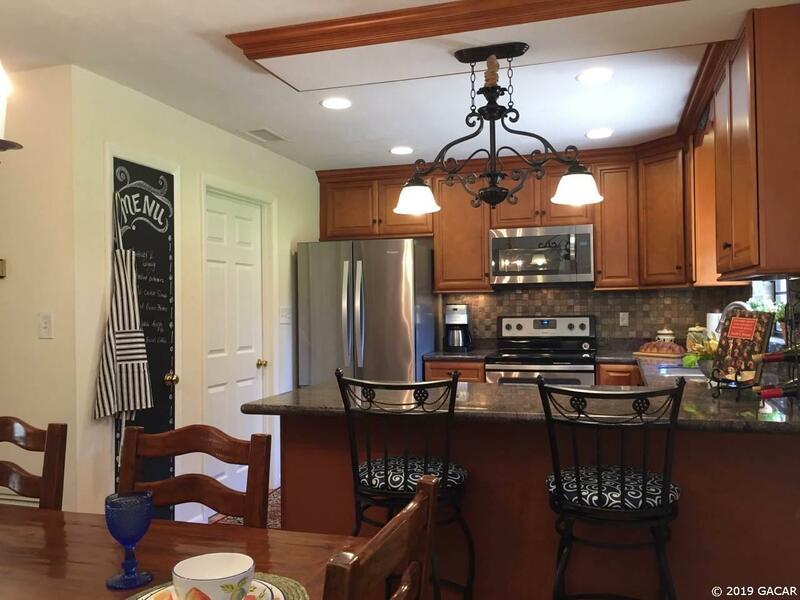 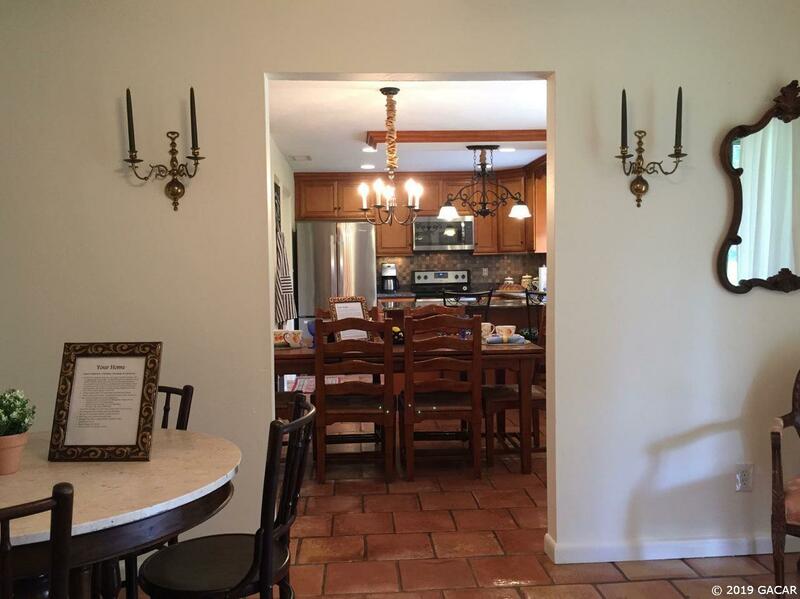 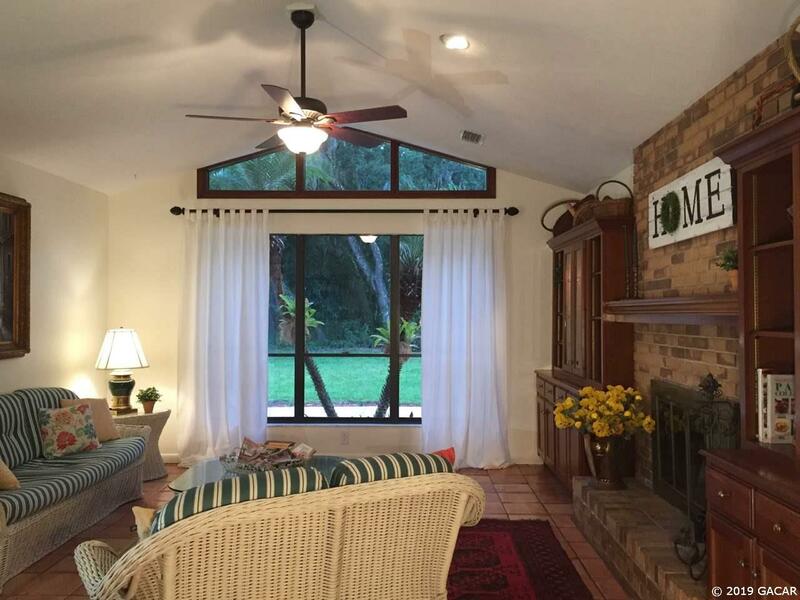 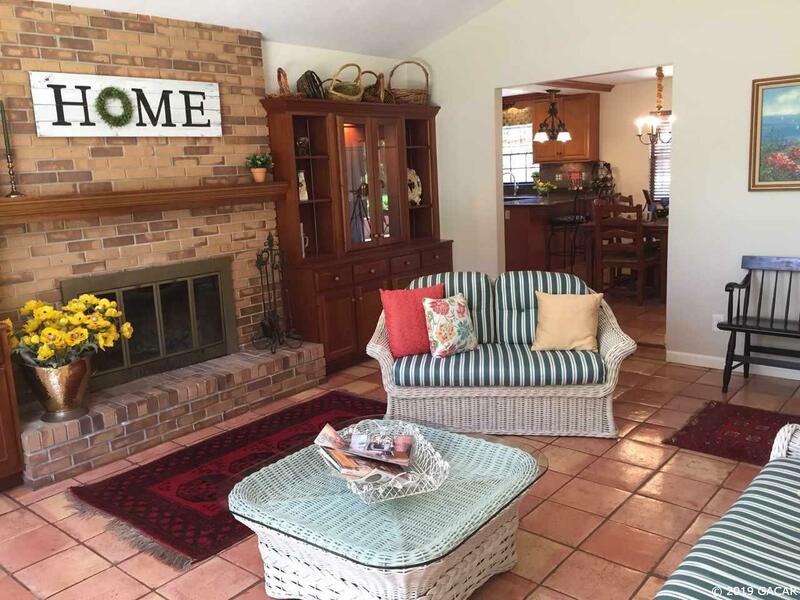 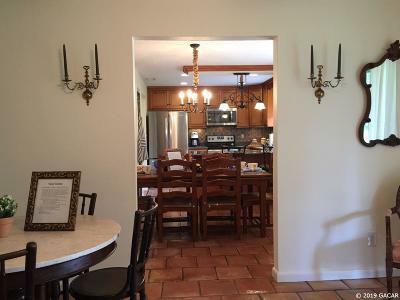 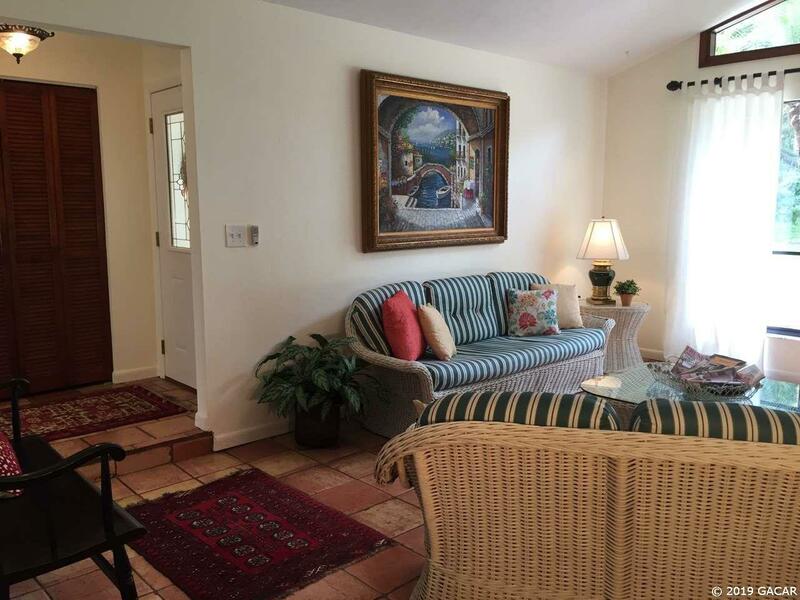 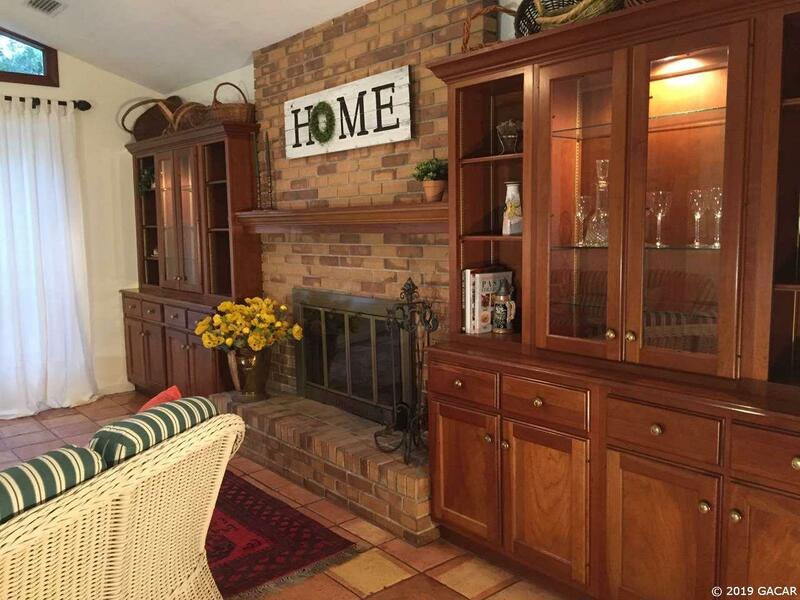 A MOVE-IN READY gem with vaulted ceiling and charming brick fireplace and hearth. 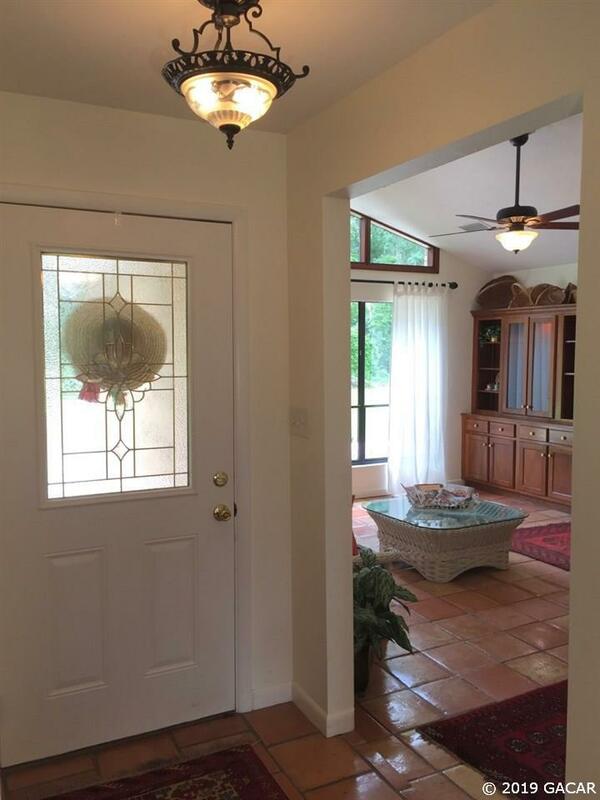 Custom cherry built-in display cabinets with glass doors only add to this room&apos;s personal style! 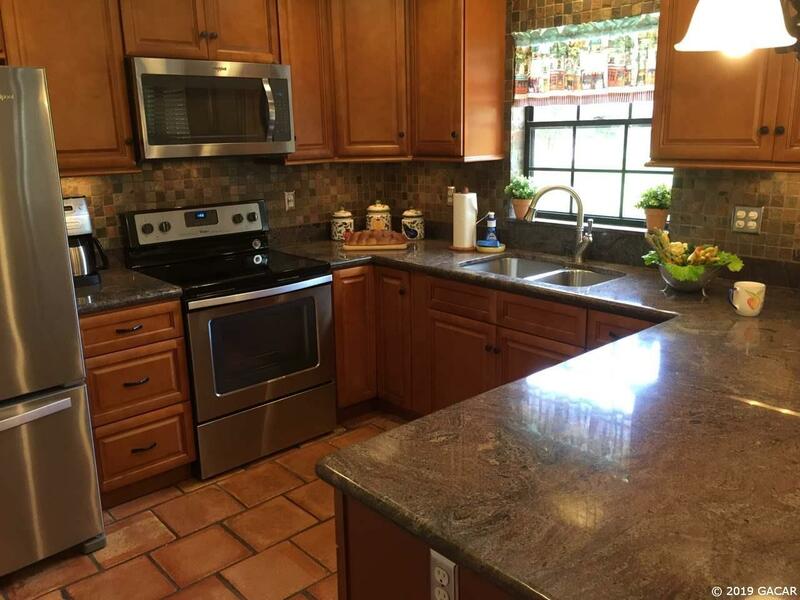 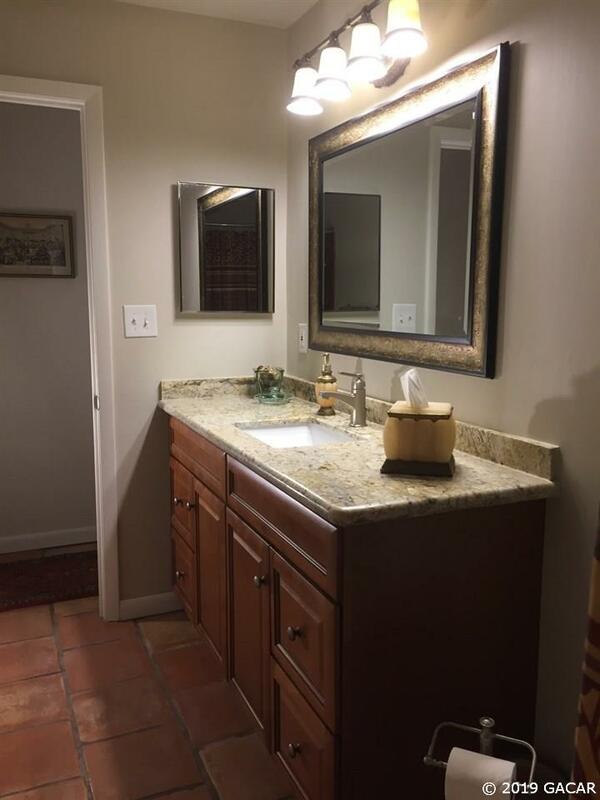 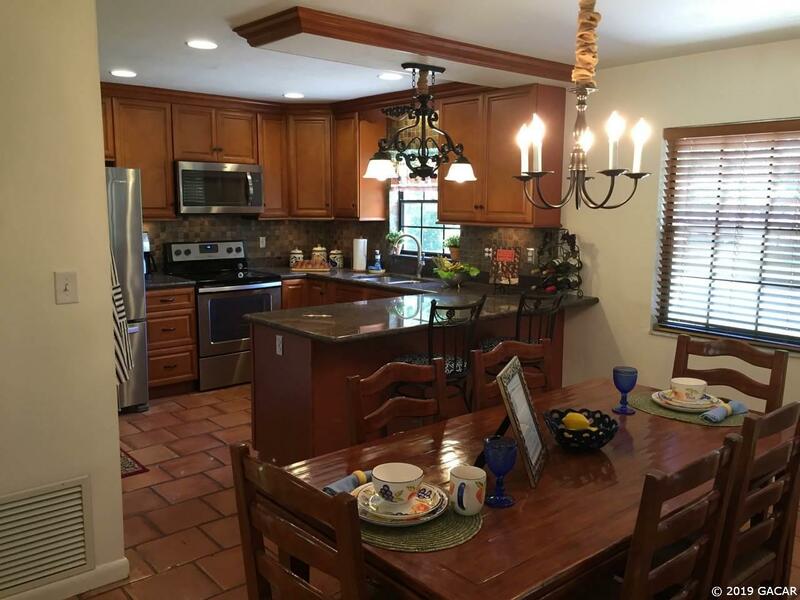 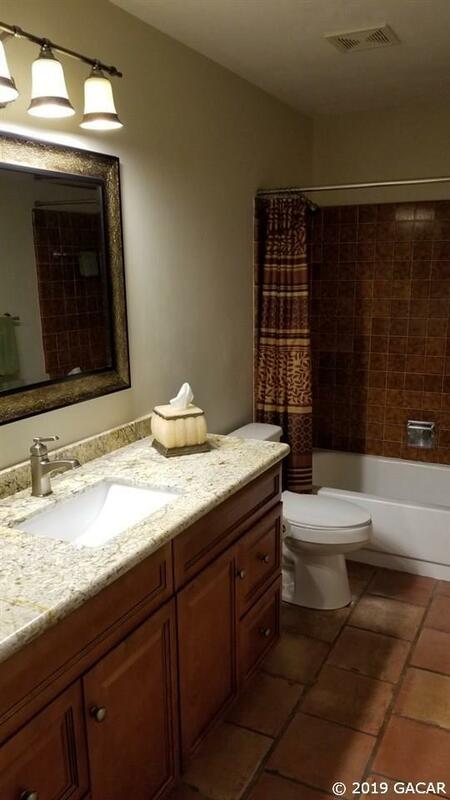 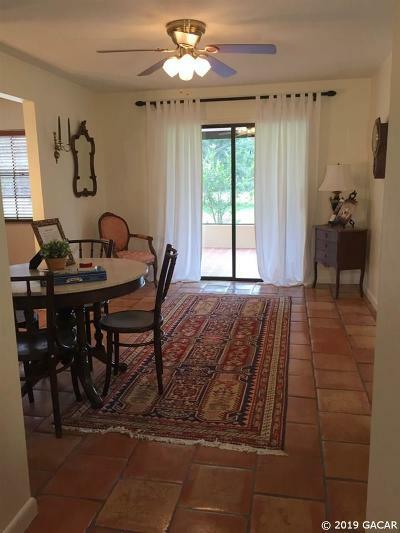 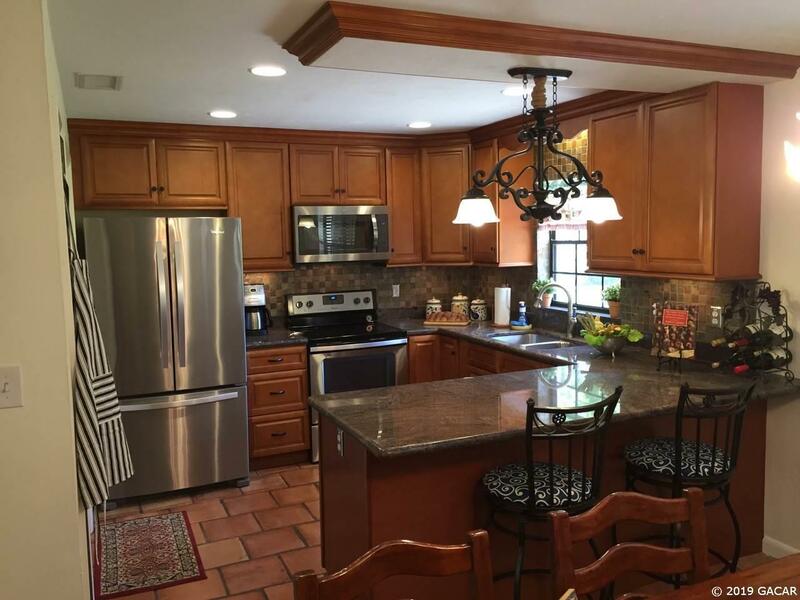 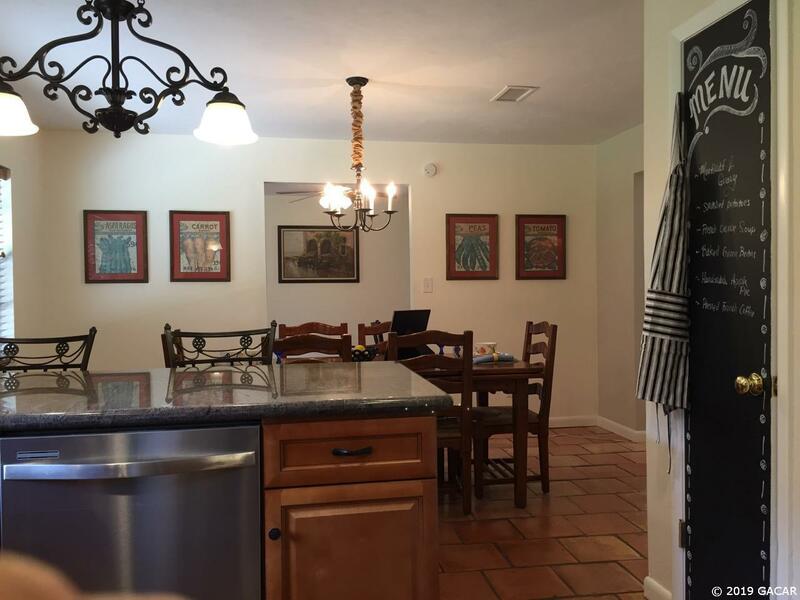 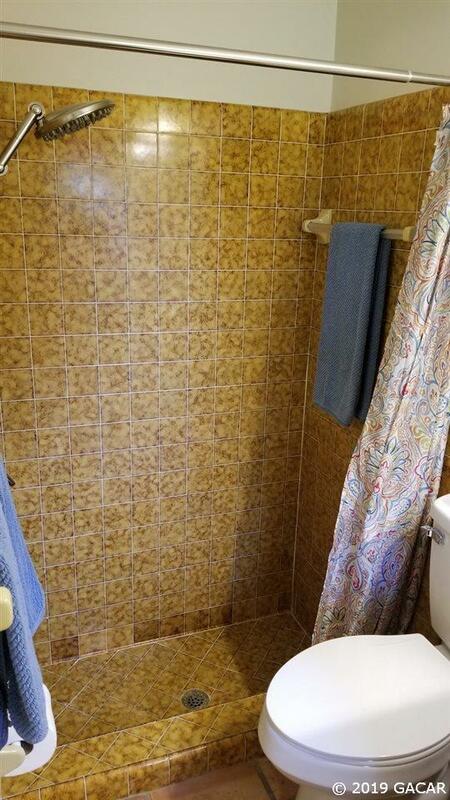 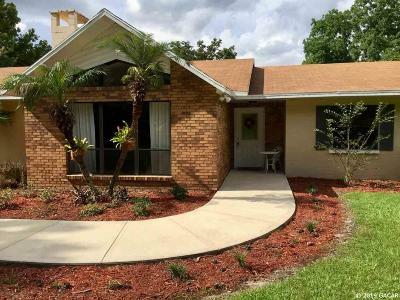 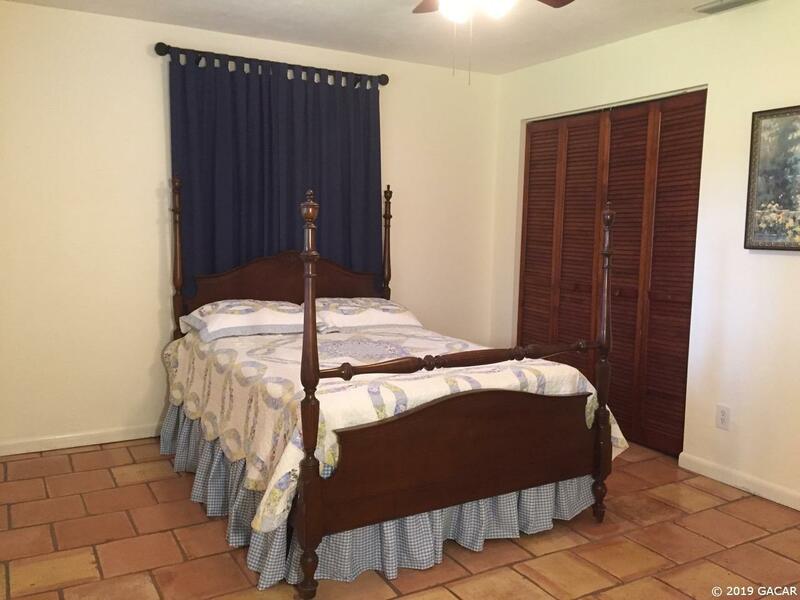 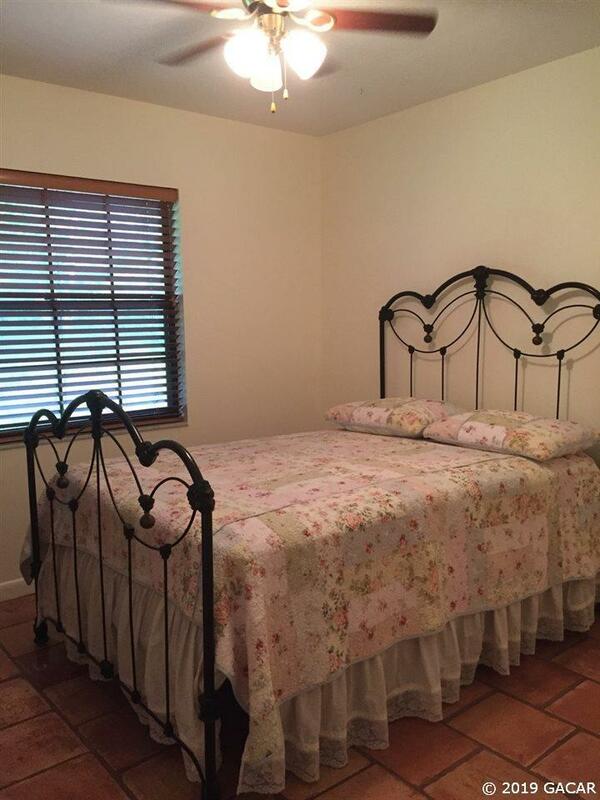 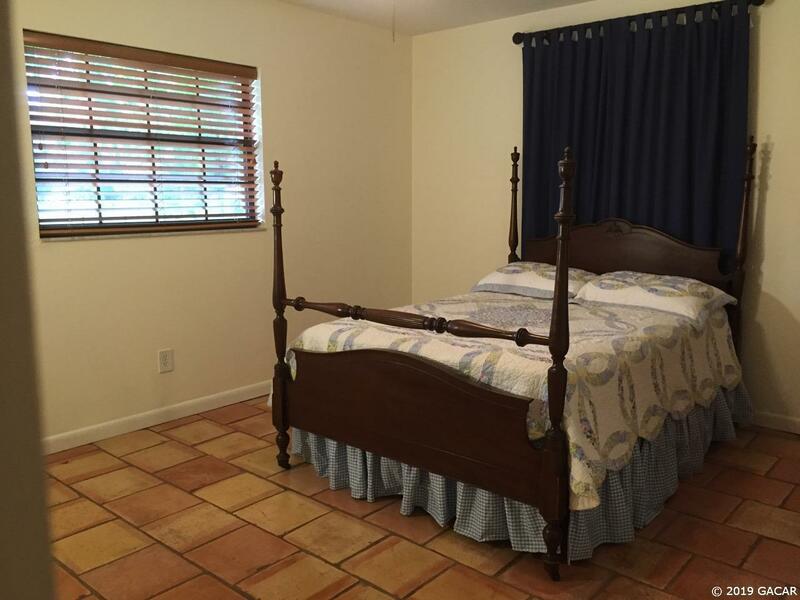 Saltillo Mexican tile throughout, BALI® wooden blinds, designer drapes with decorative wooden curtain rods, BRAND NEW kitchen with stainless steel appliances, granite counter tops, and MORE! 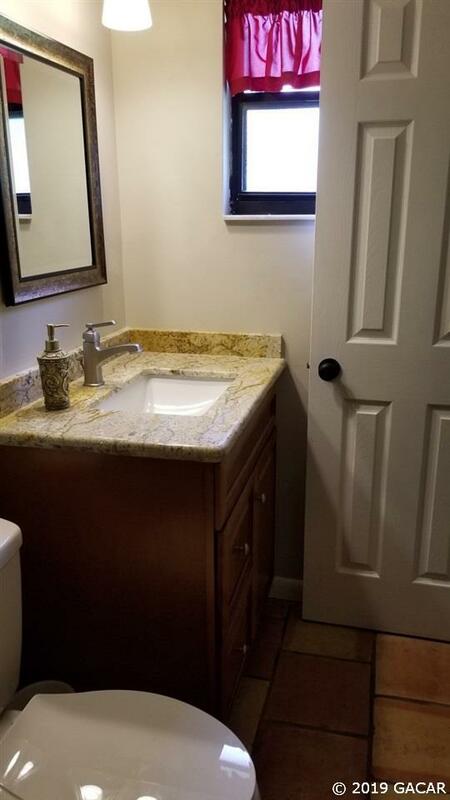 This 3/2 home may be just the one you have been searching for!